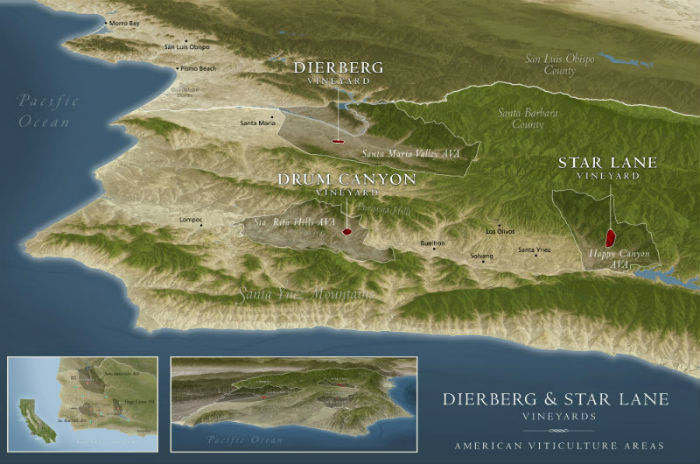 DIERBERG explores Pinot Noir and Chardonnay within Santa Barbara County’s Santa Rita Hills and Santa Maria Valley AVAs. The vineyards are located just 20 miles apart. The cool coastal influence of both vineyards represents ideal conditions for growing Californian expressions of Pinot Noir and Chardonnay.